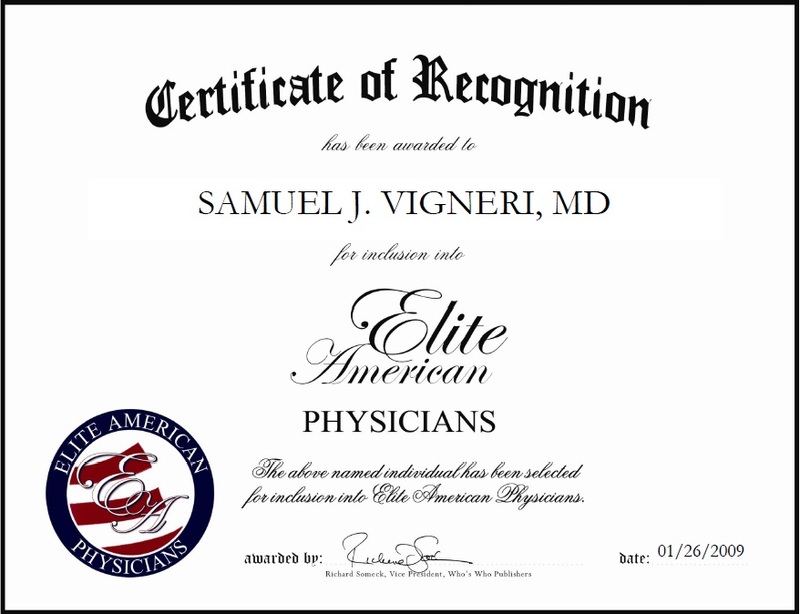 Dr. Samuel J. Vigneri is an award-winning expert in obstetrics, gynecology and the treatment of infertility. He is a recipient of the prestigious Award of Excellence, as granted by AAGL (2002). He is Board Certified in Obstetrics and Gynecology. He received his MD at Creighton University in Nebraska in 1998 and his undergraduate degree at Montana State University. He has a special interest in obstetrics, gynecology, and infertility. His hard work, diligence, integrity, and working with a set of family values as well as being an active member of his community is what he attributes to his success. This entry was posted in OBGYN, Obstetrics and tagged gynecology, obstetrics. Bookmark the permalink.